The U.S. Botanic Garden is committed to creating and offering extraordinary exhibits that delight, educate and inspire the public to become more active stewards of the plants that support life on earth. Did you know that coleus, sage, and rosemary are all in the mint family (Lamiaceae)? This plant family contains many culinary herbs. 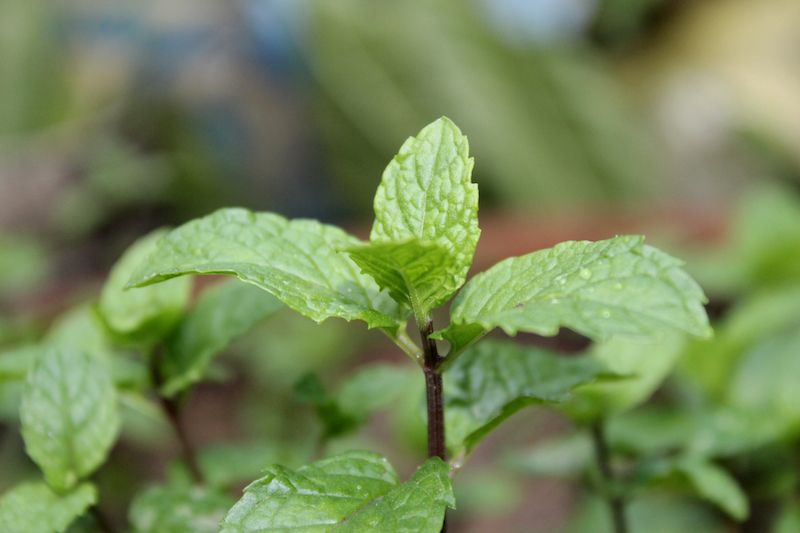 Mint family members are usually aromatic, have square stems, and opposite leaves. Most people know about Mentha (peppermint and spearmint) and Salvia (sage) species, but there are over 230 genera and more than 7,000 species in the mint family. Come explore this beautiful exhibit to learn about the interesting plants in this unique family. Escape the winter cold and step into a floral oasis in the Kogod Courtyard with Orchids: Amazing Adaptations. A joint collaboration with Smithsonian Gardens, United States Botanic Garden, Smithsonian American Art Museum, and National Portrait Gallery, this installation fills the courtyard with hundreds of orchids of stunning variety. The installation showcases how orchids have adapted to their many different environments and can be found on every single continent except Antarctica. Orchids: Amazing Adaptations is part of Habitat, a Smithsonian Gardens–wide exhibition exploring the importance of habitats and how we can help protect them. Habitat is the first in a series of changing exhibitions connecting all of Smithsonian Gardens’ spaces with a single theme. From 2019 to 2020, Habitat will feature a variety of indoor and outdoor displays, exhibits, and educational programs. Featuring vignettes of a selection of gardens from across the country, this exhibit will spotlight the diversity and beauty of the more than 600 public gardens in the United States. From rare and endangered plants to historic estates to modern oases, the collections and stories of 20 different gardens will be showcased throughout the grounds of the U.S. Botanic Garden. These gardens reflect their local communities and the amazing diversity found in the plant kingdom. The displays will include signature plants and visual elements to provide visitors a deeper understanding of the gardens’ plants, styles, origins, regional characters, and missions. Conservatory: The permanent exhibits in our Conservatory will take you around the world all year long. It houses collections of plants from subtropical, tropical and arid regions and showcases orchids, medicinal, economic, endangered and Jurassic plants. From late May to mid-October, the Conservatory Terrace features thematic exhibitions. Bartholdi Park: Bartholdi Park, a favorite “secret” garden of Washingtonians, is across Independence Avenue from the Conservatory. Here visitors will find a tapestry of theme gardens surrounding the historic Bartholdi Fountain. The gardens suggest interesting plants and innovative designs at a scale suitable for the home landscape. Titan Arum: Amorphophallus titanum is known as the titan arum, or corpse flower, because at full bloom, the inflorescence is said to smell like a large rotting corpse. The U.S. Botanic Garden has displayed these amazing blooming plants in 2003, 2005 and 2007, 2013, and 2016. Savage Gardens provided a special look into the captivating, and bizarre, world of carnivorous plants and their astounding adaptations to inhospitable habitats. Hungry for more? Don't miss the time lapse video of a sundew trapping a fruit fly. Slow Life is a window into the world of plants. It accelerates the time-scale of plants into our own frame of reference, speeding up their everyday lives to a pace that resonates with our own. This online guide to the lives of plants is based on the traveling exhibit developed by the U.S. Botanic Garden, Chicago Botanic Garden and Indiana University. The advent of book publishing ushered in an exuberant age of plant exploration and discovery. Plants in Print: The Age of Botanical Discovery, a collaboration between the U.S. Botanic Garden and the Chicago Botanic Garden, shares the rich history of botany and plant exploration with a nationwide audience. Orchids: Interlocking Science and Beauty at the National Museum of Natural History was the 2015 joint Smithsonian Gardens and U.S. Botanic Garden annual orchid exhibit. 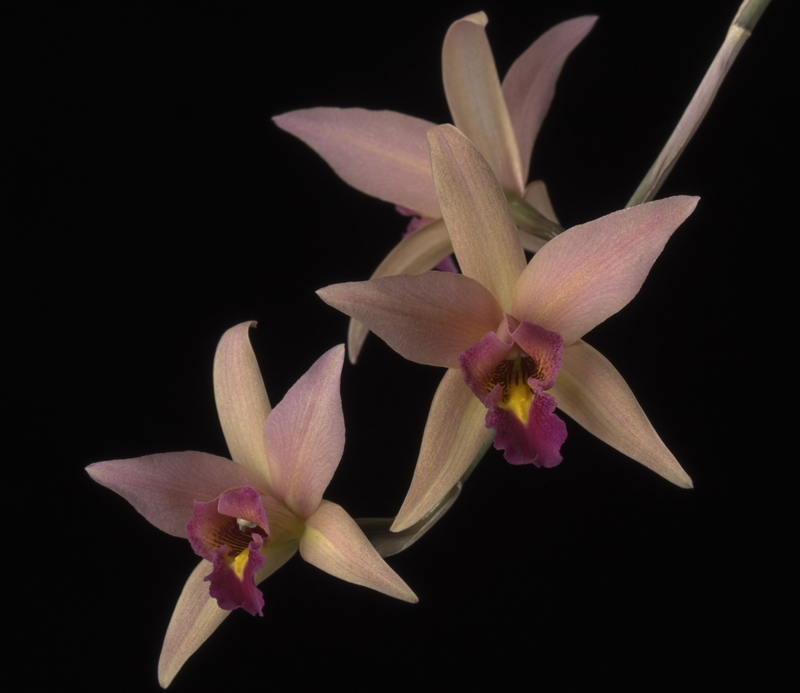 The 2015 exhibit explored how new ideas, technologies, and inventions are changing the way we study, protect, and enjoy orchids. Plants in Culture (West Gallery, 2001-2015) emphasized the countless ways in which plants enrich human life. Sensory displays feature plants in therapy, ornamentation, music, ceremony, language and many other expressions of culture. Exposed: The Secret Life of Roots (February 21 - October 13, 2015). Plant roots are vital components of the earth’s ecosystem. They are necessary for plant growth, including the production of food and nutrients for humans and many other organisms. However, as root systems are out of sight, their beauty and importance often go unnoticed. This exhibit used the work of agricultural ecologist Dr. Jerry Glover, sculptor Steve Tobin, and photographer Jim Richardson to showcase the importance of roots through visually stunning root representations. Illustrating Hidden Treasures: Botanical Art by Wendy Hollender (West Gallery, September 1 - October 25, 2015) explored the belowground structures of plants through the botanical art of Wendy Hollender. On display in the West Gallery were several pieces by this celebrated artist who owns her own farm in the Catskills where she lives, farms, and draws. Season's Greenings. Our annual holiday show opens on Thanksgiving Day and runs through New Year's Day every year. It features our collection of DC landmarks (such as the U.S. Capitol, the Washington Monument, and the Lincoln Memorial) made from plant materials, a model train show where the trains chug through a wonderland of buildings made from plant materials, one of the largest indoor decorated trees in the area, and a large display of poinsettia varieties. Orchids in Focus (February - April 2016) was the 2016 joint USBG-Smithsonian Gardens annual orchid exhibit. Orchids in Focus showcased how these exotic beauties have inspired artists and photographers for centuries and allowed visitors to immerse themselves in a floral paradise of orchids from the forest canopy down to the ground, and focus their own camera on these unique and beautiful plants. 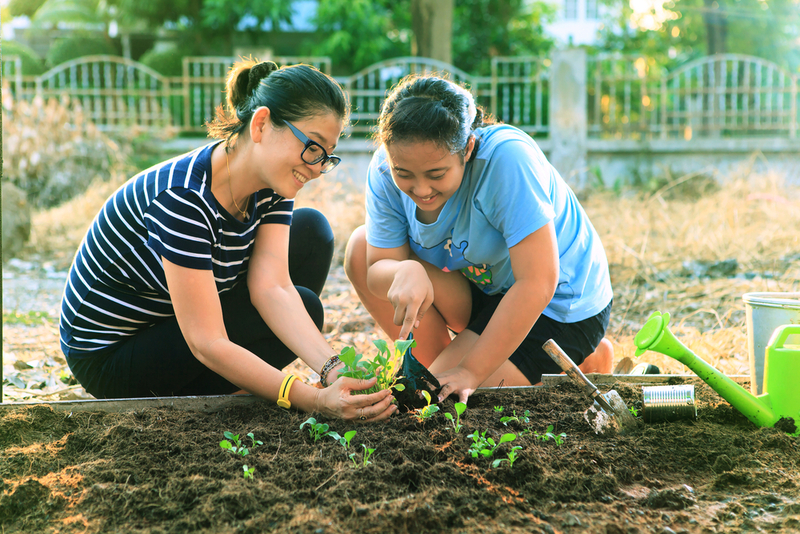 Flourish Inside and Out (May 21 - Oct. 2, 2016) -- Therapeutic horticulture, nature therapy, and accessible gardening connect people to nature and themselves and can improve human health and wellbeing. Demonstrated through accessible gardens, adaptive tools, engaging programs, and vignettes showcasing the intersection of humans and nature, a visit to the Garden will highlight how people flourish through interactions with plants. Flora of the National Parks (February 18, 2016 - January 2, 2017) -- In celebration of the 100th anniversary of the National Park Service, this art exhibit showcases some of the plant species and communities found throughout the more than 400 national park sites. Season's Greenings: National Parks and Historic Places (November 24, 2016 - January 2, 2017) -- The 2016 edition of our annual holiday show celebrated the 100th anniversary of the National Park Service and the 50th anniversary of the National Historic Preservation Act. In this year’s model train show, the trains chugged around, below, through, and above more than 50 plant-based recreations of iconic national parks and historic places like the Grand Canyon and the Statue of Liberty. orchids: A Moment (January 14 - May 14, 2017). The 2017 Orchid Exhibit, a collaborative effort between Smithsonian Gardens, U.S. Botanic Garden, and Smithsonian Exhibits, was held in the Hirshhorn Museum for the first time. Exhibit designers from the Hirshhorn created artistic structures for showcasing the orchids that enabled visitors to move through the display and experience their own personal moment. The world of horticulture is for everyone -- those with green thumbs and those green with envy. Growing and caring for plants might seem daunting, but this exhibit will help experienced and novice gardeners alike have more fruitful indoor and outdoor gardening experiences. Wander the exhibit gallery and outdoor gardens to explore the basics of growing plants and investigate solutions for many common plant problems. Along the way, discover foolproof plants, learn about the right plant for the right place and person, and even pick up a few specialty horticulture techniques for plants requiring a little extra care. Whatever your skill level, You Can Grow It has something for you! This year, take a trip across America as our annual holiday show Season's Greenings showcases Roadside Attractions! In our model train show, trains will chug around, below, through, and above plant-based recreations of iconic sights from across the United States. Explore classic attractions like Texas' Cadillac Ranch, Colorado's hot-dog-shaped Coney Island Hot Dog Stand, South Dakota's Corn Palace, New Jersey's Lucy the Elephant, and many more. View thousands of blooms throughout the Conservatory, including a showcase of heirloom and newly developed poinsettia varieties. 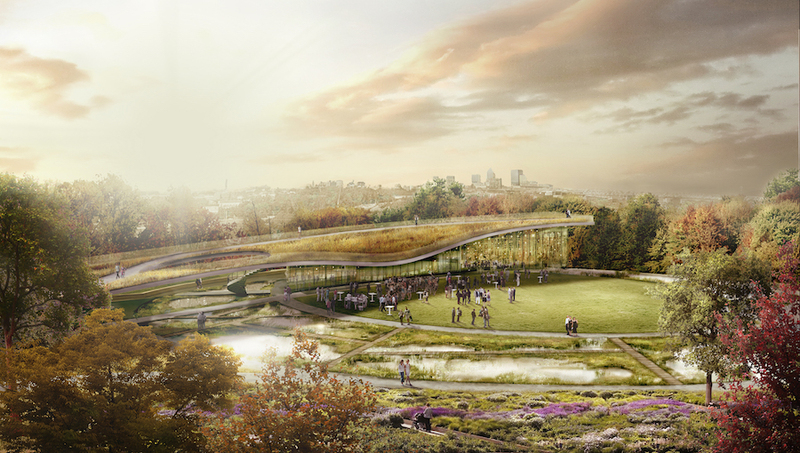 Our collection of D.C. landmarks made from plant materials will return to fill the Garden Court, this year including a new addition--an inspired botanical version of the National Museum of African American History and Culture. Join us as we celebrate the holidays and America's natural and cultural treasures. Come immerse yourself in our annual orchid show, presented in collaboration with Smithsonian Gardens. 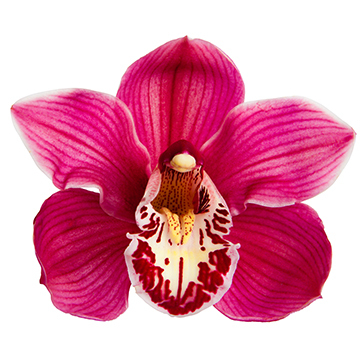 Found on every continent except Antarctica, orchids showcase a wide spectrum of diversity in color, shape, size, habitat, scent, and many other aspects. Visit the USBG Conservatory to explore thousands of amazing orchid blooms arranged in captivating displays, and appreciate many unique, rarely seen orchids from the USBG’s and Smithsonian Gardens’ extensive plant collections. Stop and take a look at the murals covering our city walls and you’ll notice plants are often featured. Plants in murals communicate the aesthetic, ecological, and historic importance of plants in the urban environment. 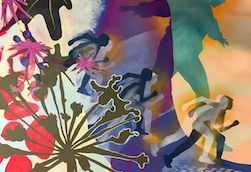 This exhibit features large-scale art by local artists who specialize in public murals that beautify our cities. Their murals depict plants using bold colors and monumental scale. The exhibit fosters creative conversations about botanical art and new ways to communicate the important roles plants play in our lives. 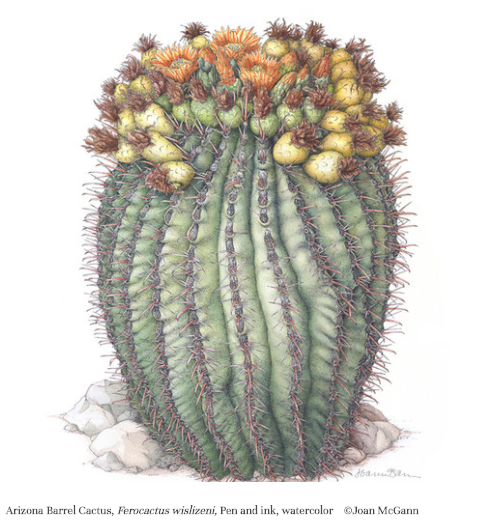 The United States Botanic Garden in collaboration with the American Society of Botanical Artists presents a juried exhibition of American native plant botanical artworks. 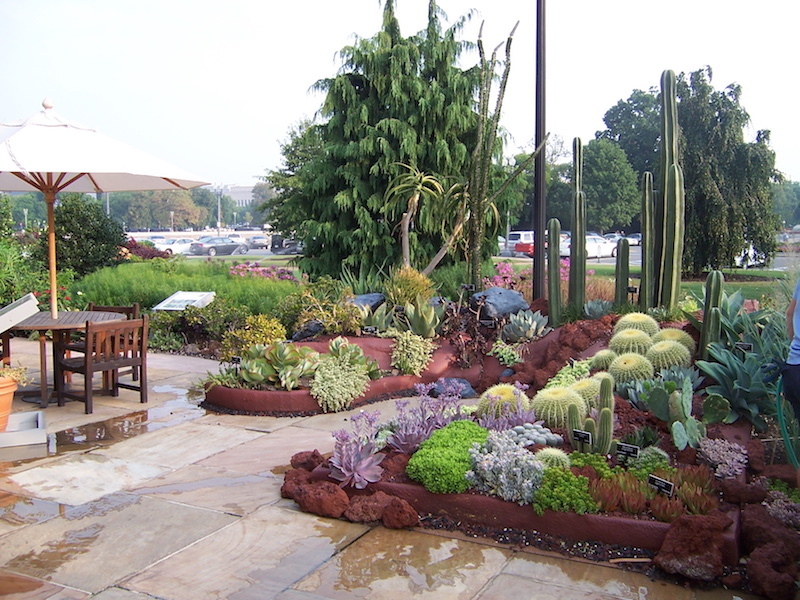 The exhibit, on display in the West Gallery of the U.S. Botanic Garden, features 46 pieces depicting a diverse range of plants including trees, cacti, wildflowers, and more. These artworks were selected from a field of over 200 entries. Similar exhibitions will be held in 24 other countries, each highlighting plants native to their own country. This year, explore America by train as our annual holiday show Season's Greenings showcases historic railroad stations across the country. In our model train show, trains chug around, below, through, and above plant-based recreations of iconic depots from across the United States. View thousands of blooms throughout the Conservatory, including a showcase of heirloom and newly developed poinsettia varieties. 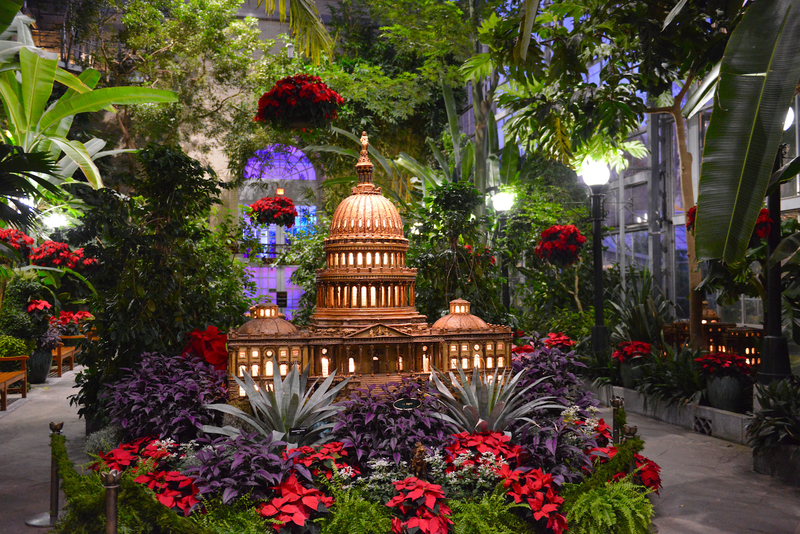 Our collection of D.C. landmarks made from plant materials returns to fill the Garden Court, this year including a new addition—a botanical-inspired model of Union Station! Join us as we celebrate the holidays and America's natural and cultural treasures.